Rachel M. Fleming, "Human hybrids in various parts of the world," The Eugenics Review, Volume 21, Number 4, (January 1930) 257�263. Over the past two decades scholars have examined Mexican racial ideology in the late 19th and early 20th centuries. They have paid particular attention to the positivist ideas propagated by Porfirio Díaz’s científicos in the late 19th century and the creation of the seemingly nationalist, antiimperialist concept of mestizaje most associated with post-revolutionary scholars in the early to mid 20th century (Castro, Hedrick, and Minna Stern). Most studies focus on the inaccurate, racist portrayal of indigenous people by the Mexican nationalist intellectuals of this era. They often note the influence of U.S. and European scientific racism, particularly Social Darwinism, on Mexicans in the late 19th and early 20th centuries. They rarely emphasize the absence of Africans in Mexican intellectuals’ discussions of race, however. The absence or near absence of Africans in early- to mid-20th century Mexican discussions of race indicates as much about the attitudes of Mexican scholars as their emphasis on the indigenous past. Likewise, excluding Africans from the Mexican racial narrative was as significant to the creation of Mexican national identity as Mexican scholars’ depictions of native peoples. Mexican intellectuals “whitened” the imagined Mexican, simultaneously writing Africans out of Mexico’s history while challenging North Atlantic ideas about race and racial supremacy by promoting the mixing of European and indigenous peoples, offering what they believed was a distinct, nationalist vision of the racial hierarchy. This article concentrates on three Mexican scholars and their discussions of Africans (or, in some cases, lack thereof) in their most significant essays. The first two—José Vasconcelos and Manuel Gamio—emerged among Mexico’s most important intellectuals of the revolutionary period. The third—Octavio Paz—became Mexico’s most influential literary figure a generation later. While he criticized many of the previous generation’s ideas, he embraced aspects of Gamio and Vasconcelos’s arguments. Moreover, in The Labyrinth of Solitude, widely considered the definitive work on Mexican character, Paz continued both the trend of integrating indigenous people as a means of ultimately eliminating them, and of “lightening” Mexico’s racial stock by avoiding acknowledging the presence of people of African descent in Mexico’s population and history. This study consciously focuses on three individuals who at various times in their lives worked for branches of the Mexican government (usually educational) and in some cases even founded government institutions based on their ideas. Despite their antiimperialist, nationalist mentalities, all three spent periods of time living in the United States, often seeking refuge when their ideas fell out of favor with their own government. 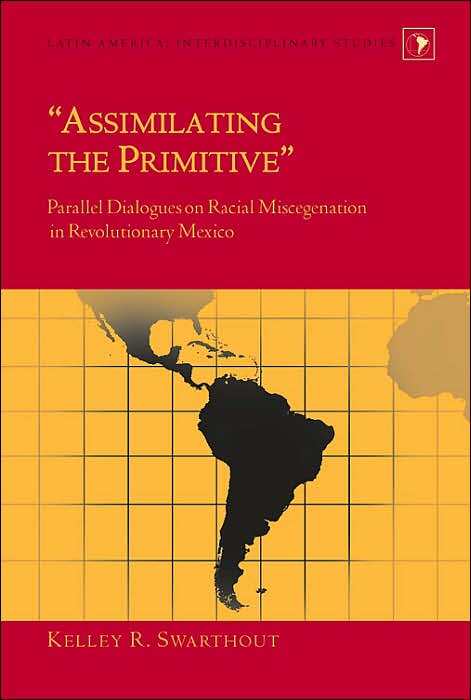 Both their experiences in the U.S. and the influence of North Atlantic ideas on their educations are significant for understanding each of these men’s assertions about race, and particularly their decision to render invisible Afro-Mexicans by writing them out of treatises on Mexico’s future. In contrast to the científicos who worked during the Porfiriato, these 20th century Mexican intellectuals considered themselves nationalists and intended their visions of the Mexican people’s future to counter the white supremacist ideology supported by Social Darwinism and embraced by U.S. intellectuals. Yet in ignoring the historical presence of Africans throughout Mexican history, Mexican intellectuals reified the North Atlantic vision of a racial hierarchy with Anglo-Europeans and Anglo-Americans at the top and Africans and indigenous Americans at the bottom. Many recent scholars have pointed out the racism inherent to the concept of mestizaje. However, these critiques have focused on Mexican intellectuals’ treatment of indigenous people. Emphasizing the exclusion of Africans from the racial narratives underlines the nuances of Mexican racism in the first half of the 20th century. It also suggests how firmly entrenched North Atlantic ideas about race had become in Mexico by the 20th century. Mexican educator and thinker José Vasconcelos is to Latinos what W.E.B. Du Bois is to African Americans—a controversial scholar who fostered an alternative view of the future. In José Vasconcelos: The Prophet of Race, his influential 1925 essay, “Mestizaje”—key to understanding the role he played in the shaping of multiethnic America—is for the first time showcased and properly analyzed. Freshly translated here by John H. R. Polt, “Mestizaje” suggested that the Brown Race from Latin America was called to dominate the world, a thesis embraced by activists and scholars north and south of the Rio Grande. Ilan Stavans insightfully and comprehensively examines the essay in biographical and historical context, and considers how many in the United States, especially Chicanos during the civil rights era, used it as a platform for their political agenda. 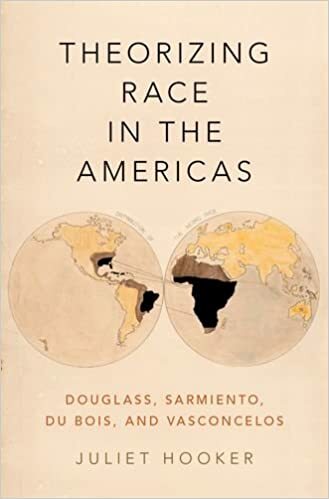 The volume also includes Vasconcelos’s long-forgotten 1926 Harris Foundation Lecture at the University of Chicago, “The Race Problem in Latin America,” where he cautioned the United States that rejecting mestizaje in our own midst will ultimately bankrupt the nation. In the early twentieth century, a number of Latin American intellectuals embraced racial fusion and predicted that it would one day undo the white supremacy represented by the United States. These ideas influenced Mexican American civil rights advocates in Texas in the 1930s and 1940s, who found the embrace of hybridity to be a realistic description of their own racial backgrounds and an effective rejoinder to Jim Crow’s emphasis on racial purity. Attacking the consensus that an aspiration for whiteness drove these civil rights claims, Benjamin H. Johnson finds deep ties between Mexican American and Mexican political cultures and concludes that borderlands histories can take a transnational approach without obscuring the influence of nation-states or denying the emancipatory potential of claims to national belonging. “The days of the pure whites, the victors of today,” proclaimed José Vasconcelos in 1925, “are as numbered as were the days of their predecessors. Having fulfilled their destiny of mechanizing the world, they themselves have set, without knowing it, the basis for a new period: the period of the fusion and mixing of all peoples.” Vasconcelos wrote these words in Mexico as his four-year tenure as the secretary of the nation’s public education system came to a close and as his quest for an elected position (first the governorship of the state of Oaxaca and then the presidency) began. They appeared in La raza cósmica, an enormously influential work that circulated across the hemisphere. Whereas the U.S. intellectual and civil rights crusader W. E. B. Du Bois had prophesied that the color line would be the problem of the twentieth century, Vasconcelos confidently predicted its erasure. The struggles of a country such as Mexico, which had just emerged from a decade of revolution and civil war, were for Vasconcelos at the center of global dynamics, as they heralded the rise of the cosmic race of his title, first in Latin America and then across the globe. Although Vasconcelos was not well known in the United States, where his predictions would have surely struck both the architects and victims of a particularly brutal phase of white supremacy as ludicrous, he did have a profound influence there. His ideas, and the postrevolutionary political and social order of which they were a part, provided Mexican American civil rights leaders in Texas in the 1920s and 1930s, particularly those involved with the League of United Latin American Citizens (LULAC), a reflection of their own racial self-conception and a set of arguments with which to critique white supremacy. The role of race in politics, citizenship, and the state is one of the most perplexing puzzles of modernity. While political thought has been slow to take up this puzzle, Diego von Vacano suggests that the tradition of Latin American and Hispanic political thought, which has long considered the place of mixed-race peoples throughout the Americas, is uniquely well-positioned to provide useful ways of thinking about the connections between race and citizenship. As he argues, debates in the United States about multiracial identity, the possibility of a post-racial world in the aftermath of Barack Obama, and demographic changes owed to the age of mass migration will inevitably have to confront the intellectual tradition related to racial admixture that comes to us from Latin America. 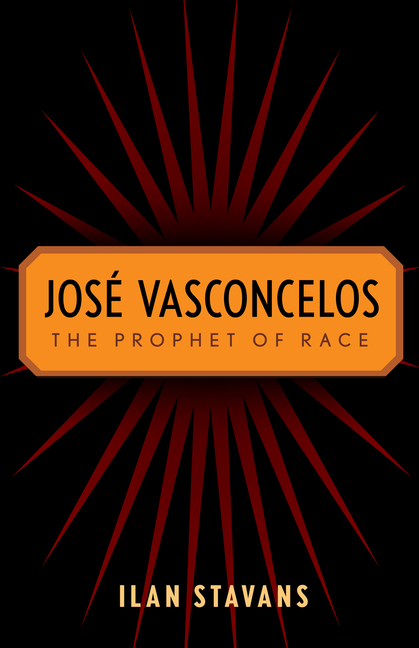 Von Vacano compares the way that race is conceived across the writings of four thinkers, and across four different eras: the Spanish friar Bartolomé de Las Casas writing in the context of empire; Simón Bolívar writing during the early republican period; Venezuelan sociologist Laureano Vallenilla Lanz on the role of race in nationalism; and Mexican philosopher José Vasconcelos writing on the aesthetic approach to racial identity during the cosmopolitan, post-national period. From this comparative and historical survey, von Vacano develops a concept of race as synthetic, fluid and dynamic—a concept that will have methodological, historical, and normative value for understanding race in other diverse societies. Mestizaje is an ideology which believes that the fusion of various cultural traditions (including language, religion, food, music, etc.) in the Americas created a new and better mestizo race. This idea gained strength after the Mexican Revolution, and José Vasconcelos popularized it in his 1925 essay La Raza Cósmica (The Cosmic Race). This book examines the Mexican nationalist rhetoric that promoted race mixing as a cultural ideal, placing it within its broader contemporary polemic between vitalist and scientific thought. Part of its analysis compares the attitudes of anthropologist Manuel Gamio and educator José Vasconcelos with those of the European primitivist D. H. Lawrence, and concludes that although Gamio and Vasconcelos made lasting contributions to the construction of popular notions of mexicanidad, their paradigms were fatally flawed because they followed European prescriptions for the development of national identity. This ultimately reinforced the belief that indigenous cultural expression must be assimilated into the dominant mestizo culture in order for Mexico to progress. Consequently, these thinkers were unsuccessful in resolving the cultural dilemma Mexico suffered in the years immediately following the Revolution.